The recently extinct three-metre-tall elephant birds of Madagascar were thought to roam around in the daylight similar to New Zealand moa, but new research suggests they were night owls like the kiwi. 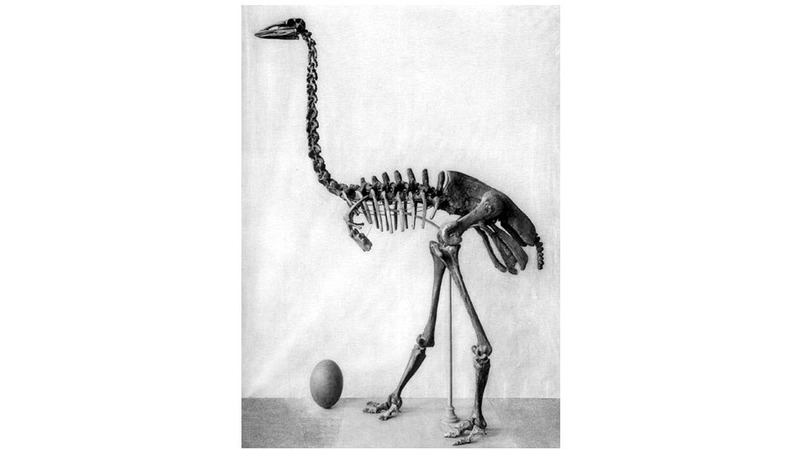 Kiwi are the closest living relative of the elephant bird, and digital reconstruction of two elephant bird skeletons suggests their eyesight was just as poor as the kiwi, making it likely they were also nocturnal. The researchers also found that the elephant bird had large olfactory bulbs, (as do emu, kiwi and Southern Cassowaries) so it's likely they had a heightened sense of smell to offset their poor eyesight. The biology of the massive, recently-extinct Malagasy elephant birds is mostly unknown, but they have historically been assumed to have been primarily active during the day. Using digital reconstructions of the external surfaces of their brains, we discovered that elephant birds had virtually lost their optic lobes, the region of the brain that processes visual input. These results are surprising evidence that elephant birds were nocturnal, much like their closest living relatives, the kiwi. Their brains also had relatively large olfactory bulbs (where scent is processed), evidence that at least some species lived in forests.